Here are some key core strengthening exercises to help improve strength, stability and reduce injury. 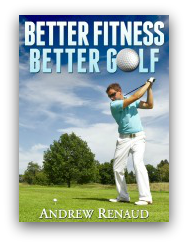 A proper golf strength training program is key to improving all aspects of your game. 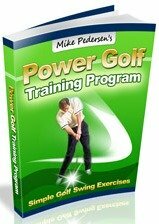 My intention with this series of exercises is to try to target all of the major groups needed for golf. Some of the core exercises will be easier than others, but each one is listed for a specific reason. I will be periodically updating this page with new core exercises, so please feel free to check in again and see what is new! Your core encompasses not only your abs, but your low back, flanks, pelvic muscles, and glutes. Increasing stability throughout these areas is key for anyone, not just golfers, and it core strengthening exercises need to be included in any golf fitness program. The exercises listed below represent very traditional ways to strengthening your midsection. There are always ways to make things more difficult! Consider adding a supplemental piece of exercises equipment such as a kettlebell, medicine ball, BOSU ball, foam roller, or even something like the TRX to continue the progression. One of the key aspect of core strengthening for golfers is rotation and these devices make it much easier (and much more effective) when targeting those areas. Please refer to the links above the bottom of the page for more ideas of how to strengthen your core. 1. Plank - Start by lying on your stomach. Prop yourself up on your elbow and toes and hold. Keep your back flat! 2. Side Plank - Start by lying on your side. Prop yourself up on your bottom elbow and the outside of your bottom foot. Hold! Try to keep your midsection level! -Start on all fours on a firm surface. Slowly reach forward with your right arm and kick back with your left leg at the same time. -Repeat using the opposite arm and leg. The key here is to keep your back flat while you lift your extremities. You can balance a yard stick or long broom handle right above your tailbone to make sure you are doing it properly. This also can be made harder by adding ankle/wrist weights. -Lie on your back with knees bent. Lift your rear end into the air and hold. -While elevated, slowly extend your right knee and then return. -Then slowly extend your left knee and return. The key is to keep your rear end elevated with extending your legs. -Sit on ground with knees bent. -Clasp your hands and rotate from side to side, gently touching the ground on each side. Variations: Elevate your feet while twisting, hold a medicine ball or weight. 6. Chops - This can be performed either using a medicine ball or cable column. -Start with the ball held high and to the right. -Make a chopping motion down and across your body to the left. -Return back to starting position. Make sure to do both sides! -Using either a cable column or resistance band, stand so that you right side is facing the cable/band. -Stand with your core engaged and knees slightly bent. Grab the band with both hands and rotate your trunk to the left. -Repeat 10-15 times. Turn around so that your left arm is facing the band and repeat the exercise to the right. -Lie on your back and lift both legs so that your hips are positioned at a 90 degree angle with the bottoms of your feet facing the ceiling. -Keep your left leg elevated and slowly lower your right leg until it is about 2-3 inches off of the ground. -Raise the right leg back to starting position and then lower the left leg in the same manner. Do the best that you can to keep both knees straight then entire time! -Lie on your back with lift both legs so that your hips are at a 90 degree angle and the bottoms of both feet face the ceiling. -Keep your knees locked and try to elevate your legs toward the ceiling by contracting your abs and lifting your buttock. This is one of the best core strengthening exercises to work the lower abdominals. How about core exercises using an EXERCISE BALL?